If you want to start a religion, there are few things you need. First, you have to have an idea about God that’s different. Special. And because you’re the originator of this idea, by default, that makes you special, too. You’re the found of this religion, after all. Second, make a set of special rituals you can perform that bring you closer to God than other people. It’s kind of exclusionary, but that’s religion for you. Then, write it all down in a special book. This book is only true because the book says it’s true, but that’s religion for you. So–special person, special idea, special rules, special book. Do that, and you’ve got a religion and you’re well on your way to getting followers. Crudely speaking, from a sociological perspective, every religion in the world can be described in this way. There are subtle variations, but from Islam to Hinduism to Scientology to Jediism (yes, it’s real), this is the basic description of how every religion in the world got started. And you could even throw Christianity, as most people understand it, into that mix. And while that pattern may be true but that’s not how we got this special book that we just handed out called the Bible. 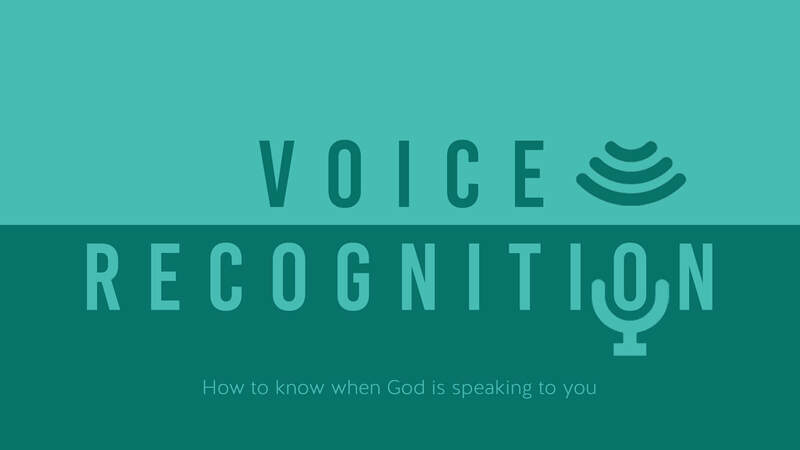 We’re in a series called Voice Recognition and we’re talking about how you can know when God is speaking to you. Each week we’ve talked about a different way that God speaks to us, whether it’s His people, His Spirit. And today we’re talking about His Word. But before we can talk about how you can know when God is speaking to you in this book, we have to talk about how this book was written. Because how it was written changes how you read it. But Jesus rolled the dice and claimed to be God. He said things like I am the Bread of Life. Or I am Light of the World. Come to me, I can give you rest. And thousands of people heard these claims because he performed miracles and drew crowds of thousands. So these claims and his popularity eventually got him in hot water with the religious leaders in Israel. But after one of his followers betrayed him, he was arrested, abandoned by all his followers, charged with blasphemy, beaten and executed. And when Jesus died, in spite of all his followers, the Jesus movement died with him. Because–every claim he made, was invalidated. Voided out. It’s hard to be the Bread of Life when you lose your life. Kinda’ hard to give rest to others when you’re laid to rest. You’re not the light of the world when your light is extinguished. So His followers hit unfollow. And they hid in the shadows, cowering in fear, lest they should fall to the same fate as the one they followed. But. Three days later? Three days later, something happened. These followers who saw Jesus flogged, beaten and crucified. They claim they saw Him risen… from the dead. More than just see him–They touched him. They hugged him. They ate with him. They talked with him. In the city. In the country. In daylight. In darkness. Alone. In groups. Eventually HUNDREDS of people claimed to see Him, with their own eyes, risen from the dead. This isn’t new you keep to yourself. So they ran through the streets of Jerusalem telling everyone they have seen Jesus risen from the dead. They went into the temple courts filled with the very religious leaders who days before had crucified their leader and they told anyone who would listen–not about their ideas of God, not rules on how you can get close to God, not steps you can take to release God’s favor on your life, but about what they say they saw. The religious leaders ordered them to stop, but they wouldn’t. They couldn’t. You don’t keep something like that to yourself. It’s too important. And no matter how much they were threatened or punished–They were beaten, they were imprisoned, they were executed themselves–they would not deny what they say they saw. Soon the persecution was so bad many followers of Jesus fled from the city of Jerusalem and went to other nearby cities. And when they got there they continued to tell people what they saw–Jesus risen from the dead. And soon, after the sheer volume and intensity of the testimonies they heard, people began to believe them. Which meant that they believed that Jesus rose from the dead for themselves. Soon there were thousands of followers across Israel, gathering in small groups in homes to talk about how Jesus rose from the dead and what it all means. Why does this matter? Why are we talking about this? Because there was church before there was a Bible. Go back to our formula of religion… there was no special person with special ideas about God and there were no special rules written in a special book. This was a group of relentless people who claimed to encounter a man risen from the dead. It wasn’t an idea. It was an event. The writings did not make the movement. Something happened. Mathematically, we know that within decades there were hundreds of thousands of followers all across the Mediterranean. The rise of Christianity still baffles historians to this day. It’s history’s greatest mystery. It shouldn’t have happened, but something happened. That’s not to say the writings aren’t important, but it does set the stage for the writings. Eventually, these followers of Jesus would gather together in small groups in homes and sit around and compare what they knew about Jesus. It was church, before there was a Bible. And they’d be like, what do you know? Oh, I heard about this teaching he did on the beatitudes. Oh, cool. I learned a prayer he taught His followers to say. Hey, Tim, tell that story of how he walked on water. Do this for a few years and you’re like. I want to know more. But you guys don’t know any more. So eventually, the early followers of Jesus began to want to hear the stories of Jesus from the eyewitnesses themselves. These men called the Apostles. So you guys are Apostles. Here. Write on your envelope, The Biography of Jesus, written by Apostle and then write your name. So Apostle Joe. Apostle Jerome. Okay. Good. We have three of these eyewitness biographies, written by men named Matthew, Mark, and Luke. We even have a fourth one, written by a physician named Luke, interviewed the eyewitnesses for himself and wrote it all down for his rich friend, Theophilus. With all this backstory in mind, listen to how Luke starts his biography of Jesus. So now we have writings. And you might be thinking, well this is where things start to get distorted. People are gonna’ have revisionist history. But in every one of the gospels, that’s not what we see. The followers of Jesus pull no punches when writing about themselves. We read how they doubted Jesus. They fought with each other. They made mistakes. They abandoned him when he needed them most. They look ridiculous. That’s not the kind of thing you write if you’re trying to impress people so they follow your religion. But it is the kind of thing you write if it’s what happened. So these biographies are smuggled and circulated all across the Mediterranean. And the church grows. So let’s say these chairs behind you are followers of Jesus in Israel, pass it back. The movement made the writings. Years later, these churches started to have questions about how to live and function as a church. In fact, the earliest example we have of this happens twenty-five years after the resurrection a town called Corinth. Now, here’s a map. Look. This is about 1,800 miles. Like from here in St. Louis to Mexico City. Side note–Think about how baffling this is from a historical perspective. How amazing would an event in Mexico City have to be, for you and I in St. Louis, to gather together in small groups, on a WEEKLY basis, to talk about that event… twenty-five years later?? And this row of Corinthians is like, man, we have a question about communion. So one of you decides the only place to get an answer about that is to go to the eyewitness followers and ask them. Now you take it back to all your Corinthians. And you guys all read it. But you’re like, hey, my cousin in Galatia had the same question. Can we make a copy? So make a copy real quick. Now pass it back to your cousin living in a town called Galatia. And the Apostles wrote letters to small groups gathering all over the Mediterannean. In cities like Rome, Corinth, Galatia, Thessalonica, Ephesus. And they made meticulous copies. These guys start dying. James was beheaded for claiming Jesus was God. Thomas was stabbed to death for saying Caesar wasn’t King, only Jesus was. Peter was crucified for saying salvation was found in Jesus alone. So Christians started to gather their accounts and their letters and put them together in a collection. these are written that you may know that Jesus is the Messiah, the Son of God, and that by believing you may have life in his name. That’s the criteria. Does it help us know Jesus? Does it help us know He’s the Messiah, the Son of God? Does it help us live life in His name? They’re like, okay, here are 4 reliable biographies. And here are a couple dozen letters. We good? And then one guy was like, we should include the Jewish Scriptures. And they’re like why, because Jesus was Jewish? And he’s like that. Too, but remember how Jesus said he was the fulfilment of all the Jewish Scirptures? that you may know that Jesus is the Messiah, the Son of God, and that by believing you may have life in his name. Meaning that every story whispers his name. From Genesis to the Exodus to the kings to the prophets to to the poets. All of it written that we might recognize him when he comes. So everything before Jesus points forward to Him. Everytihg after Jesus points backwards to Him. But it’s all. About. Jesus. Because if you pick up this book trying to find what rituals you can or rules you can do to get close to God, it’s in there, but you’ll miss the reason you hold this in your hands. That’s like reading a cookbook to learn math. You might get it, but you won’t get it. That’s what… legalists… do. Likewise, if you pick up this book to find yourself or your purpose or your destiny or your vision for 2019, it’s in there, but it’s found AFTER knowing Jesus. That’s the life in his name that John is talking about here. that you may know Jesus is the Messiah, the Son of God, and that by believing you may have life in his name. who is speaking in His Word. And when you know Him, life follows. Every time I read this book I come to know Jesus better. He’s an inexhaustible source of wonder. Maybe you feel like, Oh, I know him. Or maybe you’re just looking into him. But it’s a level playing field. We can all know him better. I wonder how many of you pick up this book with the single intent to know Jesus? If ever? But today, that’s exactly what we’re going to do. I have a bookmark here–Martha, can you pass it out? Jesus, help me know you better than I do. And this is a prayer you can pray if you have followed Jesus for decades, or for days. This is a prayer you can pray if you’re not sure of who He is, or you think you might be sure. All of us in this room can pray this prayer. So to close today, will you pray these words with me?